Nivea 5-Piece Gift Set Just $12.50! Down From $25! 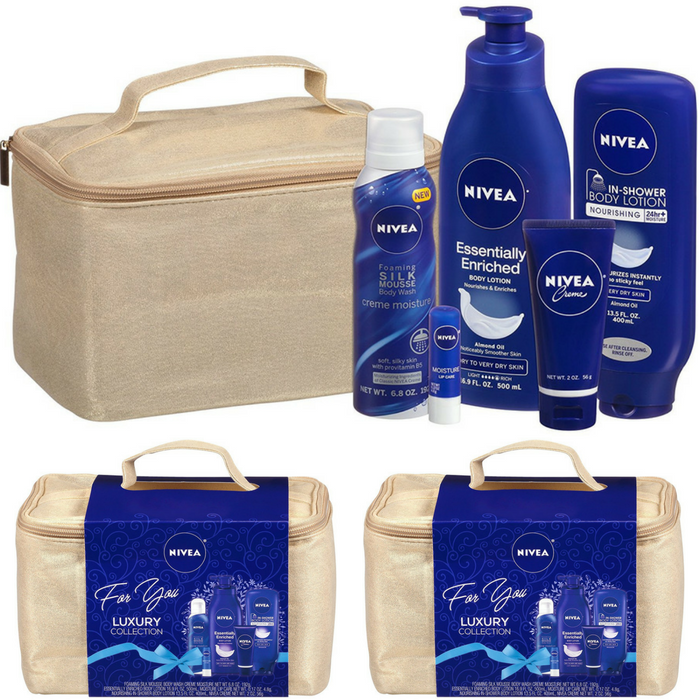 You are here: Home / Great Deals / Amazon Deals / Nivea 5-Pc Luxury Collection Gift Set Just $12.50! Down From $25! Nivea 5-Pc Luxury Collection Gift Set Just $12.50! Down From $25! Don’t miss this amazing deal! Hurry over to Amazon where you can score Nivea 5-Piece Gift Set for just $12.50 down from $25 when you clip the extra 50% coupon! Get FREE shipping with Amazon Prime or for orders $25 and above! This makes a perfect gift! Grab it now!